Are you ready to really lose weight and feel vibrant and healthy? If so, then you need to come see Barb Goshorn, the only Rochester nurse nutritionist who is also a registered nurse. With over 30 years of clinical experience, Barb’s approach to weight loss has helped thousands of Rochester area residents. Barb is excited to show you how eating well can improve your health emotionally and physically. If you find yourself losing weight on a new diet, only to slowly regain the pounds when you cheat, you aren't alone. Too many people lose weight, but fail to keep the weight off, starting the yoyo dieting cycle and suffering mental anguish as a result of unwanted weight. When you begin working with Barb, our Rochester nurse nutritionist, we will discuss the latest nutritional science that will help you lose weight. We will explore the relationship between sugar and fat, alcohol consumption and fat, and hidden sources of sugar. We'll recommend easy ways that you can prepare meals once a week to eat healthy all week long and share simple tips that have a big impact. By sitting down to eat rather than eating in the car, you will cue your body to relax. You'll enjoy what you eat more, feel full faster, and avoid the nasty heartburn that comes with wolfing down fast food. Our nutrition tips will help you understand portioning and how it affects weight loss. Building on nutrition tips, we hold you accountable through food diaries, follow up appointments, supplements for ideal nutrition, and more. 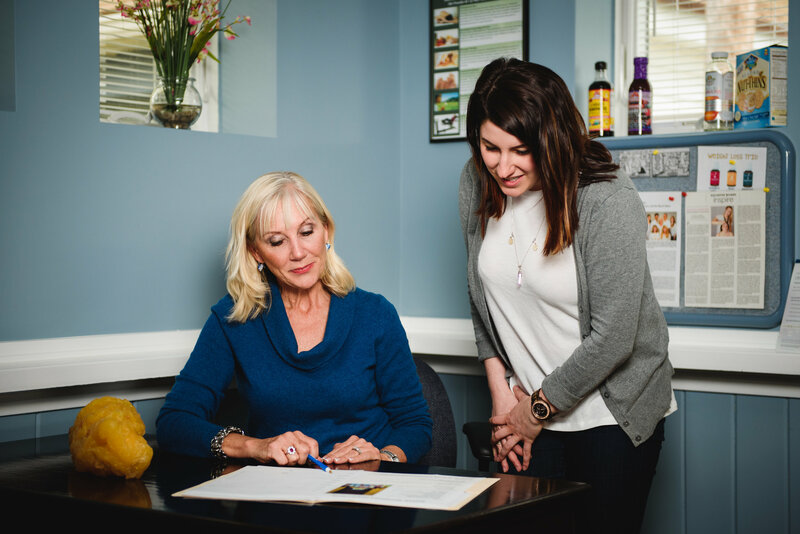 Throughout the nutrition counseling, we are here for you to answer any questions you have, hold you accountable to your goals, and cheer you on as you experience success. * Disclaimer: Results vary on an individual basis and cannot be guaranteed. All testimonials and examples are unique to the individual, and should not be considered typical or guaranteed.